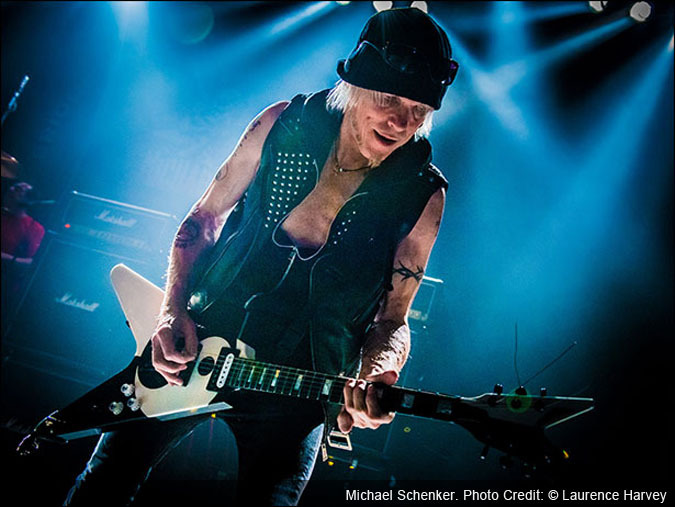 New Interview with Guitar Legend Michael Schenker! Classic rock set on a metal foundation, laced together with the pure energy and majestic six-string signature that is exclusively, unmistakably Michael Schenker is backed by some of Herman Rarebell's strongest drumwork in his career since Scorpions, Francis Buchholz' grace of bass, and Wayne Findlay's bold 7-string compliments. Crowned by ex-Rainbow Doogie White's vocals and lyrics, whose talents almost earned him a job with Iron Maiden, "Spirit On a Mission" is a rare instance where the sophomore effort compares or even trumps the debut. "The Temple of Rock concept is a mixture of the past and the now," Mr. Schenker stated. "The idea is for The Temple of Rock / Michael Schenker platform to develop into its own entity. The first Temple of Rock album, which was successful around the world, we didn't know what it was developing into. Step-by-step, we had 'Bridge the Gap.' It's like a story and it continues. By the time we make the third album, The Temple of Rock will be capable of standing on its own feet and its own identity. We're just using the past in order to create a connection. The Temple of Rock, once the jump start is completed, will propel by itself."